Hello and welcome to my blog. Today's card is so very regal looking. 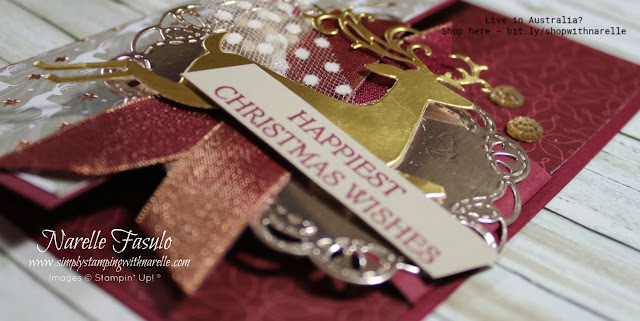 I think it's from the rich colours and the metallic card used. A very impressive card indeed. But one I can not take credit for. This one was made by Pam Jorgensen, a very talented demonstrator from Victoria. Another of the lovely Holiday Catalogue swap cards I received. 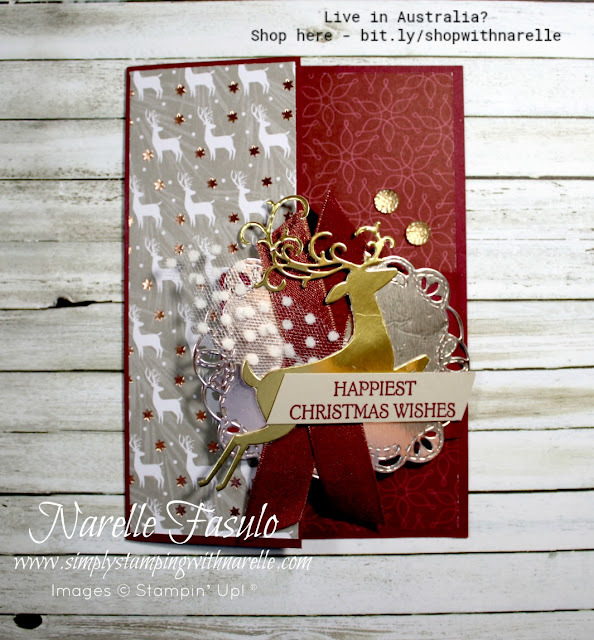 I love the deep regal red in this card and the great use of not only the foiled designer series paper, but the silver and gold foil cut die pieces. And look at all those layers. This card certainly blew me away when I saw it and I feel very lucky to have received one. Imagine how your friends and family would react if you made them one like this. To purchase any of the products that Pam has used on her gorgeous card, see the product list below.